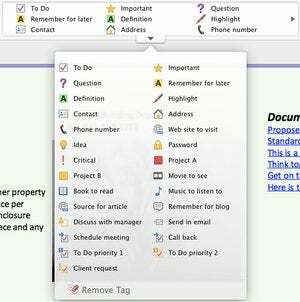 First look: Could Microsoft OneNote for Mac replace Evernote? Microsoft has just released a version of OneNote—its note-taking app for capturing, storing, and organizing all kinds of information—for the Mac. 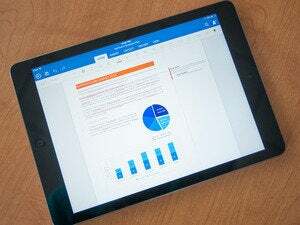 The company is positioning OneNote as a competitor to Evernote, and as such the app does offer some compelling features. One thing that does make OneNote for the Mac particularly notable (pun intended) is that it’s free. (A free iOS version has been available for years.) The free Mac app also includes 7GB of free storage space on Microsoft’s servers. If you have a new Office 365 account, you unlock more storage as well as access to premium features not available with the free version of OneNote. OneNote is built around a notebook metaphor. It organizes your data into notebooks, and you can create as many notebooks as you need. Every notebook you create contains sections, which appear as tabs across the top of the notebook’s main screen. Every section contains pages, and pages are where you actually put your data. So, for example, if you were planning a cross-country summer vacation trip, you could create a Summer Vacation notebook. Within that notebook, you could create separate sections for each state you planned to pass through. And each state section could contain pages for specific sites you planned to visit. One thing that makes OneNote interesting compared to Evernote is the flexibility it gives you when adding information to a page. Every page in OneNote is freeform, allowing you to add text, images, links to webpages, tables, and other bits of information anywhere you want; you aren’t constrained spatially in the same way you are in a normal word-processing application. Want to add a text note? Click anywhere on the page and start typing, and that’s where your text appears. You can then drag that text where you want it on the page. The same is true of images and tables. OneNote for Mac lets you put your information anywhere that works for you on the page. According to Microsoft, there is no limit to either the width or the length of your pages, so it’s conceivable you could create a massive document that stretches in both the X and Y dimensions. This, of course, begs the question, “How do I print my document?” The answer is, you don’t: There is no print option available in the application, although it is possible to export a page as a PDF file and print the resulting file. Any text you add to the page can be formatted in much the same way you can in Word. You don’t have as many formatting options, but there are plenty enough to help you differentiate your text on the page. The same is true of tables, although I found that the table feature was a bit underdeveloped. While you can format individual cells within tables using a table formatting tool, you can’t perform even the most basic calculations. Furthermore, pasting data from an Excel spreadsheet did not insert that data into the appropriate cells in a OneNote table; it pasted everything into the first cell of the selected cells. OneNote's formatting tools will be familiar to anyone who has used an Office application. One thing I really like about OneNote is how easily it allows you to link notebooks and pages together. Secondary-click on a paragraph in your document, for example, and a menu appears offering the option to Copy Link to Paragraph. Pasting this link into your document creates a hyperlink to that paragraph; clicking the link takes you right to that paragraph. This can not only link to items within your current notebook, but also to items in other notebooks you’ve created. It's a potentially powerful tool for indexing and interlinking anything you’re working on in OneNote. Anything added to your document can also be individually tagged. In my brief experience, OneNote is a bit less successful syncing notes to other platforms. So, for example, the freeform capabilities of the new Mac app spawned some interesting problems in OneNote on other devices. iOS devices had no problem displaying what I’d added to the page. But I couldn’t find a way in the iOS app to move anything on a page I'd created on the Mac. The Web app was a mess. Anything opened in the OneNote Web application bore no resemblance to its Mac OS and iOS counterparts. Text that was next to an image in the Mac app overlaid the image in the Web app. On the upside, I was able to move anything I wanted to, but what looked well laid out on the Web looked hideous in the Mac app. There are a few more things I noticed in this brief look that warrant mention. First, there is no obvious way to insert documents from other applications into your OneNote notebook, although it appears from the OneNote webpage that this should be possible. Likewise, copying a chart created in Excel and pasting it into a OneNote page resulted in nothing at all, even though Microsoft screenshots indicate that this should be possible. Finally, OneNote doesn’t support drag and drop from applications or the Finder, so you can’t drag text from an existing document or a file from the Finder to insert it into OneNote. While a full review of the application may reveal more of OneNote’s strengths and weaknesses (including its collaboration tools, Web clipper, and fruits of its partnerships with vendors like Brother, Doxie Go, Epson, Feedly, IFTTT, and Livescribe), overall I'm impressed with it. OneNote’s price, collaboration capabilities, and particularly its freeform note-taking feature make it a compelling application for capturing your ideas as quickly as possible. Whether it'll be a compelling alternative to Evernote remains to be seen.